Have you ever left a hospital or doctor’s office in a worse condition than when you arrived? Here are the most common forms of medical malpractice cases. Doctors are supposed to help improve your health condition, not make it worse. Unfortunately, medical practitioners do make mistakes and sometimes they cost us our health or even our lives. Knowing what qualifies as medical malpractice will help you decipher if your doctor’s mistake was malpractice or simply a human error. If you’ve had a situation where you believe malpractice occurred, seeking retribution and justice for your hardship is crucial. But first, you need to learn if your situation qualifies. For a list of the various medical malpractice cases and to learn your next steps, keep reading. So, you’ve experienced health issues as a result of your medical practitioner’s treatment or lack thereof. We all make mistakes, doctors and nurses included. However, deciding if that wrongdoing is worth proceeding legally depends on the following. To prove a case was malpractice, you need to show that another competent doctor in the same specialty would have acted differently and ethically. You need to prove that other doctors wouldn’t have made the same mistake that yours did. If the mistake you experienced likely gets replicated by other doctors in the field and is considered an understandable error, you do not have a medical malpractice case. If the mistake is not considered an understandable error and other doctors would not have made that mistake, you need to seek legal assistance with USAttorneys. Here are 5 of the most common medical malpractice cases. A misdiagnosis can cause a patient to choose a treatment that doesn’t address their health issue and could cost them crucial time. Usually, misdiagnoses are caused by the doctor not doing their due diligence in finding out what’s wrong with you. They should have the knowledge and expertise to analyze your symptoms, recommend the correct tests, and analyze test results properly. Sometimes, a doctor will believe you have one issue when it’s actually another. That mistake is normal but needs to be corrected quickly. Trial and error is part of the diagnoses process when the existing information doesn’t lead to a clear explanation, and when your health issue isn’t life-threatening. If you’re suffering from a life-threatening illness but your doctor isn’t able to diagnose you, they should refer you to a more specialized professional who can. Sending you on a wild goose chase to find out the root problem could cost you your life by wasting time when you have a life-threatening disease. Another form of misdiagnosis malpractice is when the doctor takes too long to diagnose your condition. They could be delaying your diagnoses because they’re overwhelmed with their workload, are disorganized with their current client files, or they’re not making you a priority when they should be. It’s incredibly frustrating as a patient to know that something is seriously wrong with your health, but your doctor doesn’t seem to care. You should seek diagnoses from another doctor in this case. If the new doctor diagnoses you in an adequate amount of time, you may have a case of medical malpractice with your original doctor. Although childbirth is a normal procedure that doctors perform every day, mistakes can still occur. The health of the mother and her baby depend on the care of a doctor from the start of pregnancy until days after the infant is born. When preparing for your new baby, seeing the doctor for regular checkups is a must. The doctor that is monitoring your pregnancy needs to be checking for various health issues that can cause difficulties in the birth and in the mother or baby’s life. Unfortunately, some doctors are negligent in providing adequate prenatal care. When prenatal health conditions aren’t addressed, the mother and her fetus are in danger. It’s the medical practitioner’s responsibility to ensure the mother is aware of any potential risks or health concerns. During childbirth, there are various technical procedures that must be performed for a safe delivery. Doctor’s who are negligent during this procedure could cost the infant or mother their life. Women during childbirth can experience unexplained vaginal bleeding which needs to be addressed and treated immediately. Injuries can also occur to the mother if she has been vaginally birthing the baby for too long. The baby’s safety and the women’s life depend on the obstetrician’s practice of ethical and efficient medicine. For either prenatal or childbirth malpractice to be legally classified as so, you need to prove there was negligence on your doctor’s part. As mentioned above, proving this requires interviewing other competent doctors in the same field. Every surgery comes with risks the patient is taught about and confirmed to understand. Despite the risks, we usually go through with the surgery to improve our health. Malpractice in the operating room is a serious offense that can cost the patient their life or their quality of life. The anesthesiologist is responsible for learning the patient’s history with medications and using drugs that won’t negatively affect them. Being aware of the patient’s allergies and intolerances is crucial. These malpractice cases are closely related to surgical malpractice of the doctor preparing the patient for surgery and performing the procedure. If your doctor isn’t experienced in your procedure or confident in its success, you risk suffering injuries. Most commonly, surgical malpractice can cause nerve damage, infection, and even the wrong operation performed entirely. With an experienced, knowledgeable, and ethical doctor, these medical malpractice cases shouldn’t occur. Prescribing the wrong medication to a patient is a case of negligence and often malpractice. Your doctor should be aware of your medical history, allergies, and ability to ingest different forms of medications. They should be aware of your age and size to correctly prescribe the right dose. Medication mistakes can occur on the prescription paper or when the doctor is administering the medication to you. In some cases, doctors have administered the wrong medication to patients or sometimes administered the correct drug but in the wrong dose. The pharmacist needs to understand what is being prescribed to a patient by correctly reading the prescription slip and filling it properly. In some cases, pharmacists have neglected to clarify what the doctor is prescribing and instead give what they think he/she has written down. We all know doctors are notorious for writing illegible words on those prescription slips which is why pharmacists are expected to understand what it says and confirm if they don’t. If not, patients may take home the wrong medication and suffer the consequences of taking a drug that their body doesn’t need. Malpractice mistakes in administering medications and filling prescriptions can easily happen when the doctor or pharmacist is negligent, disorganized, or inadequately trained. When patients require the use of medical equipment, like CPAP devices or IVC filters for examples, the functionality of that equipment is necessary for the patient to safely use them. This could be a case of the medical clinic not ensuring all their devices are safe and usable, or the company that made the equipment being liable. Equipment that is broken or poorly designed can seriously injure the patient. For example, if an IVC filter breaks, it could potentially travel through the bloodstream and injure different organs or even cause death. Some patients won’t see an improvement in their health condition if the equipment isn’t fully functioning. You may have to prove that your doctor’s office didn’t check the functioning of your device before giving it to you. When it’s the manufacturer that’s responsible for faulty design, it’s a harder case to prove. If you believe you have a case for medical malpractice, there are a few steps you must take for justice to ensue. First, document everything. Record every doctor appointment you can, include the names of your doctors, and the advice they gave you. Record all prescriptions you are given and their doses. Then, request your medical history be printed out or sent to you. Finally, bring your medical history and all documentation to a medical malpractice attorney. 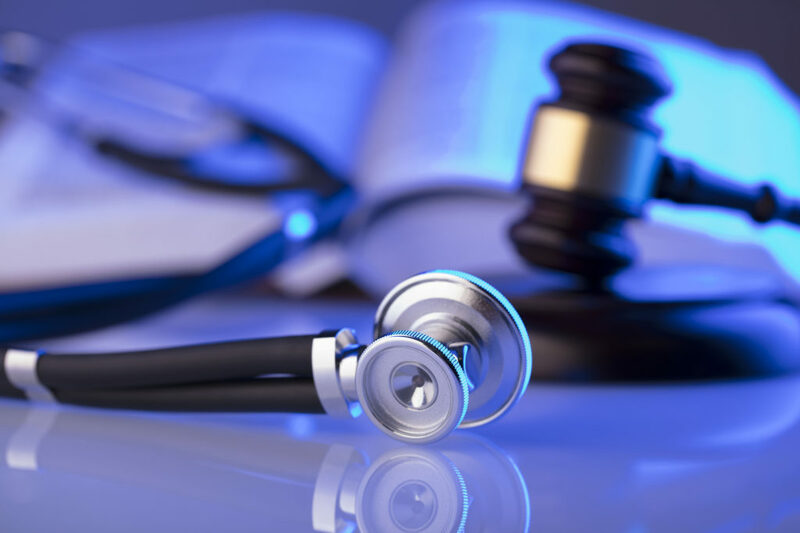 They will guide you through the next steps in the legal process of medical malpractice cases. Medical malpractice is a serious health and legal issue that can change your life. If you believe you’re experiencing or have experienced one of the medical malpractice cases listed above, you should seek legal guidance. You’re entitled to adequate and ethical healthcare. To learn more about the world around us and how it impacts our lives, check out our blog. Can Technology Save The Very US Postal System It Has Damaged?